Path has today announced that its social network app will come pre-installed on Sony Xperia devices sold in the Asia Pacific region, including Indonesia. The company announced a similar deal with US carrier Sprint in May this year, ensuring that a one-tap download link was included with the Samsung Galaxy S4, HTC One and Torque devices. The partnership with Sony is arguably of greater significance, however, given that it represents a direct link with a major smartphone manufacturer and shows that Path is actively targeting a very specific set of potential new users. Given that the app will be preloaded on Sony Xperia devices – no need to setup a new account for the Google Play store, or even download the app after purchasing the handset – Path has a far greater chance of converting new users. The social network passed 10 million registered users in April this year and will be hoping to extend that further over the coming months. Path founder Dave Morin revealed in March 2012 that the social network was growing more quickly in Asia than in Western markets. Version 3.0 of the app, released in March this year, then learnt from popular messaging apps such as Line and Kakao Talk by adding in-app instant messaging, push-to-talk and stickers. A recent release on Amazon’s Kindle Fire tablet, as well as a deluge of new paid sticker options including, among others, the popular ‘Adventure Time’ animated TV series, signals a renewed push by Path to grow it userbase and monetize the service. Sony isn’t the most prominent or popular OEM in the Android market at the moment – not by a long shot – but it still holds a pretty formidable reputation for creating high-quality smartphones. 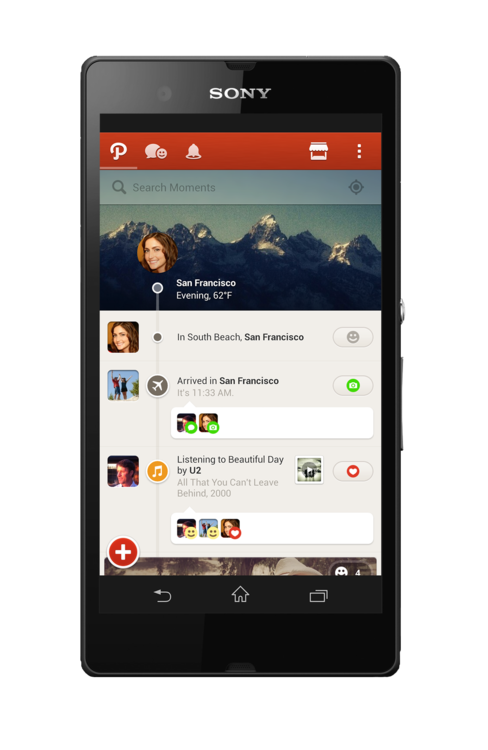 Path will be unlikely to change Sony’s image in the Asia-Pacific region, but at this point anything is worth a try.